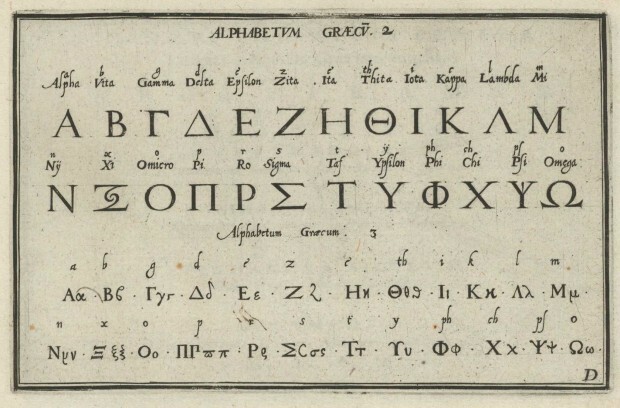 ☛ Harvard Library: Alphabeten vnd aller Art Characteren, “Alphabetvm Græcv” (cropped), published in Franckfurt by Johann Theodore and Johann Israel de Bry, Anno M.D.XCVI (1596). HOLLIS no. 007303732. Consists of letterpress title-page within ornamental engraved border (verso blank), nine pages of letterpress introduction, and fifty-one leaves of engraved samples of alphabets in various languages and lettering styles. Theodor de Bry (1528-1598) was a Flemish-German engraver and editor. One can browse more of his work over at the Art Institute of Chicago. 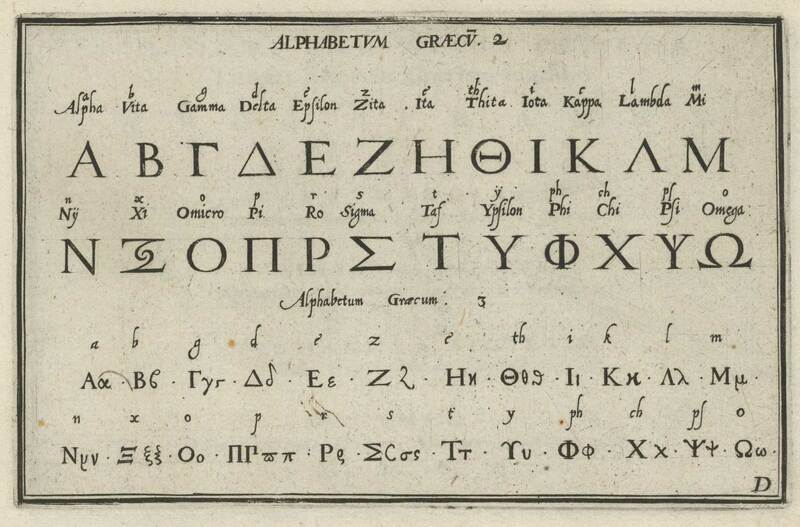 I first came accross this document while browsing the Houghton Library blog.